Freistehendes renoviertes Ferienhaus. Küche/Wohn-/Esszimmer. WC. 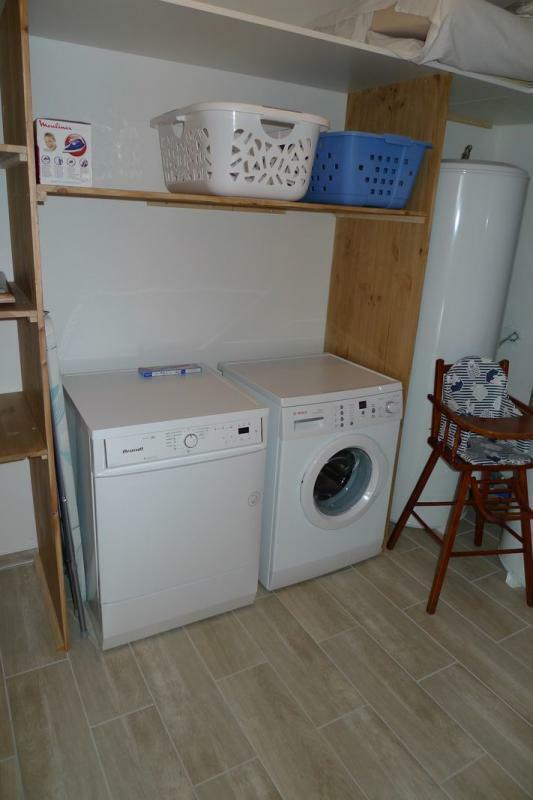 Waschküche. 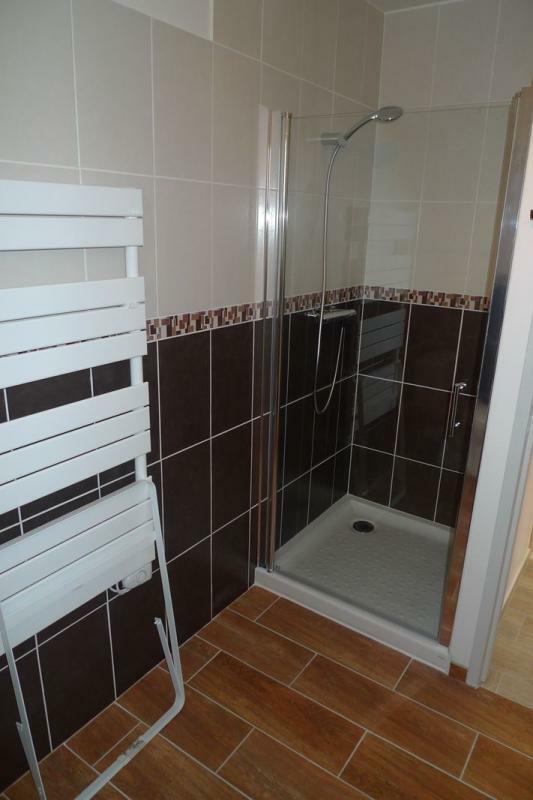 1 behindertengerechtes Zi (1 Bett 160 cm + Badezimmer mit Dusche/WC). 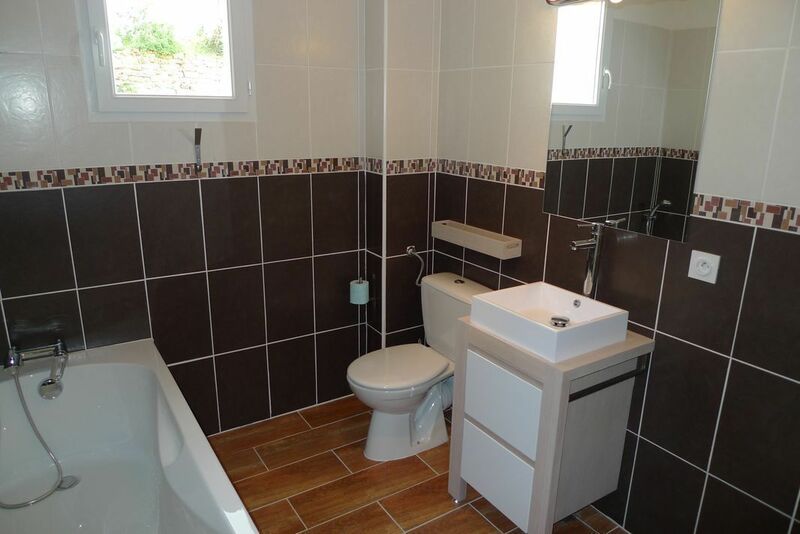 Im Obergeschoss Badezimmer (Dusche)/WC, Badezimmer (Badewanne und Dusche)/WC und 4 Zi: 2 x (1 Bett 160 cm), 2 x (2 Einzelbetten). Eigener abgeschlossener Garten mit überdachter Terrasse. Geschirrtücher gestellt. Babyausstattung + Kinderwagen. Heizungspauschale 60-80 €/Woche. 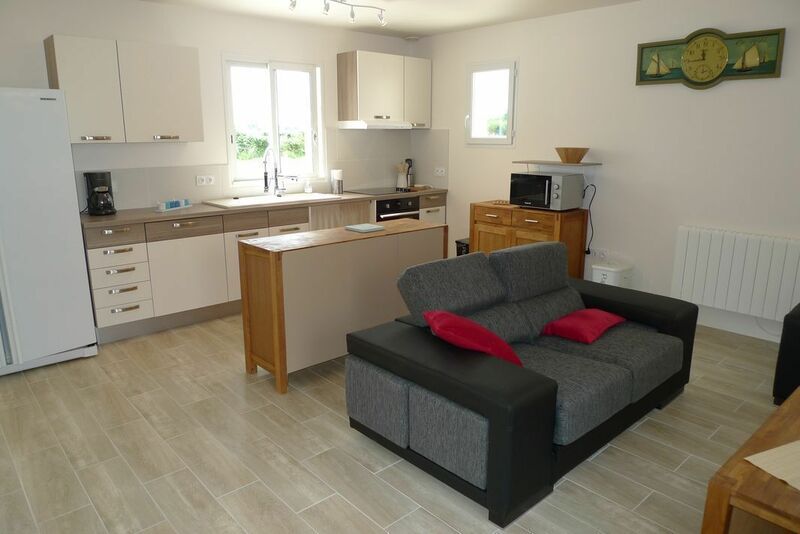 Detached, renovated gîte. 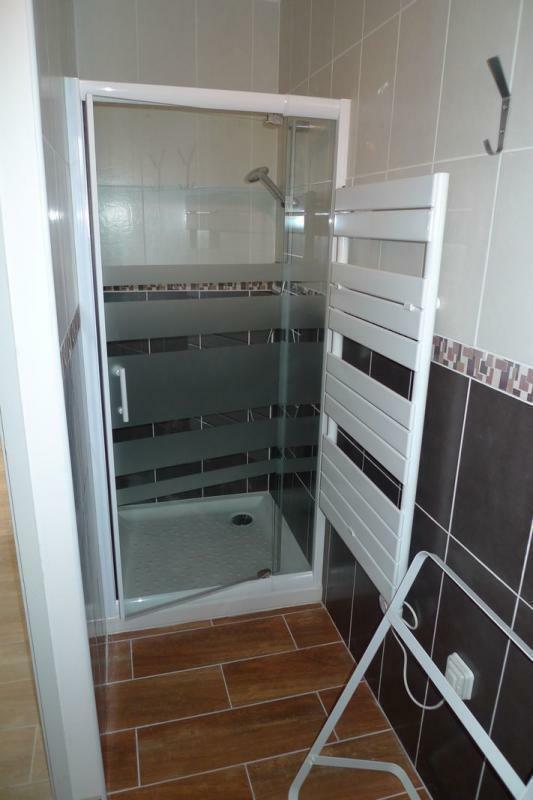 Open plan kitchen/living/sitting room, WC, utility room, bedroom with disabled access (160cm wide bed, en-suite shower room/WC). 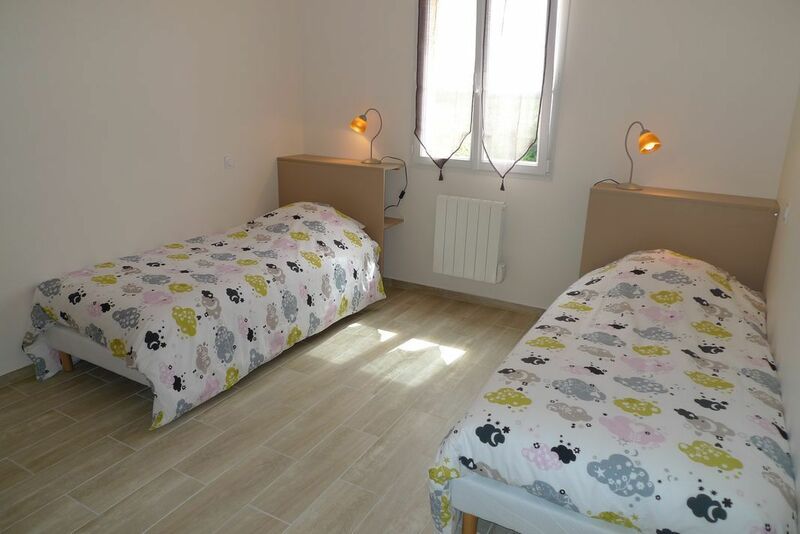 1st floor: shower room/WC, bathroom/WC (separate shower), 4 bedrooms (160cm wide bed) (160cm wide bed) (2 single beds) (2 single beds). Private fenced garden with covered terrace. Household linen supplied. Baby equipment, pushchair. Fixed charge for heating: 60-80€/week. 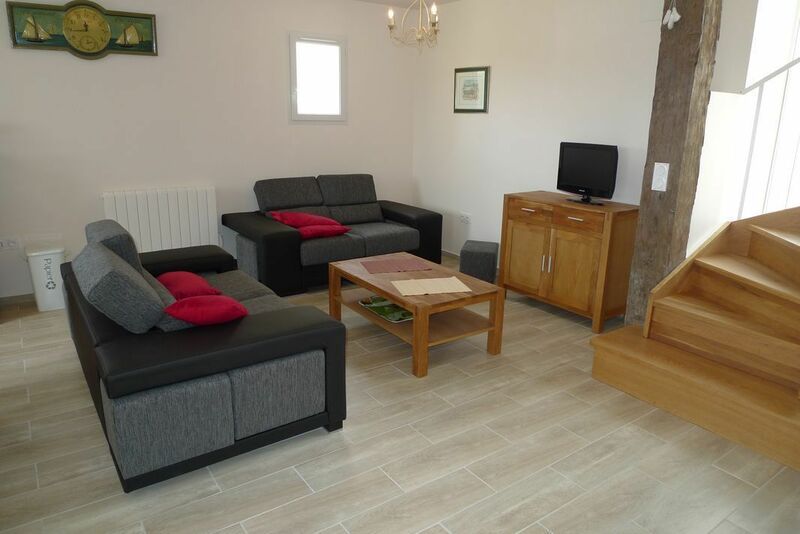 Gîte rural refait à neuf en 2012, indépendant. Cuisine/séjour/salon. WC. Buanderie. 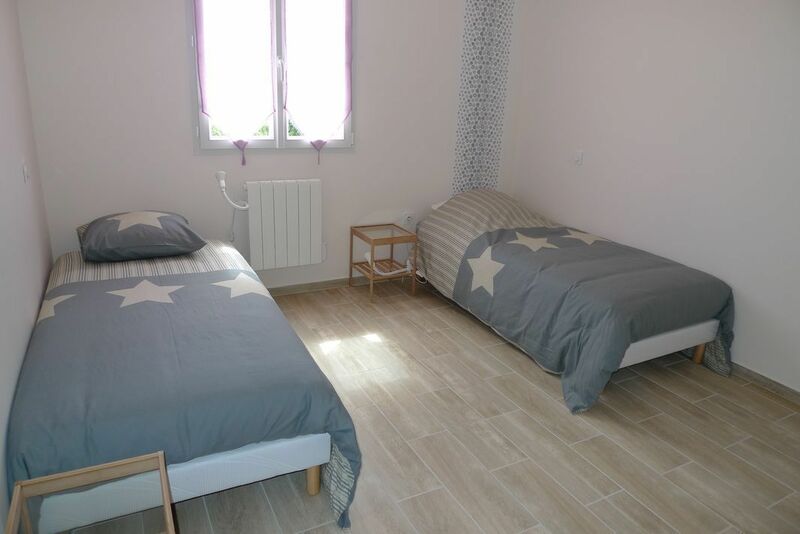 1 chambre access. pers. 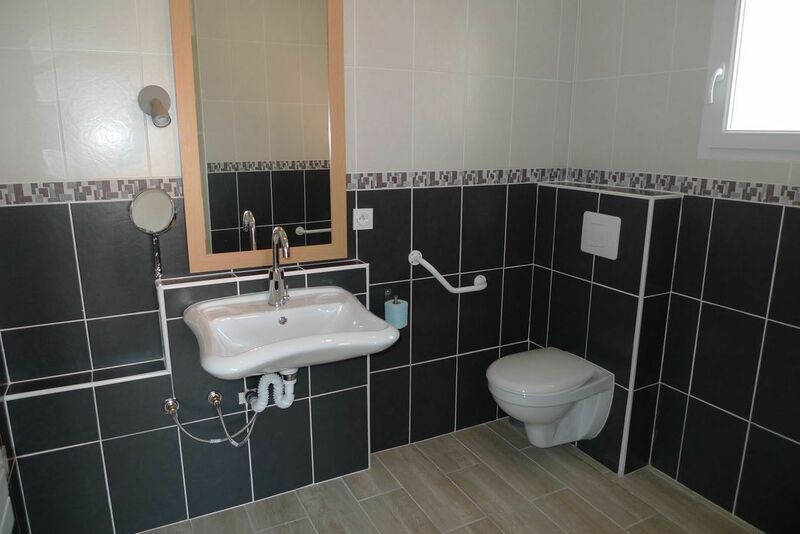 handicapées (1 lit 160 : 2 x 80) avec tête et pieds relevables + salle d'eau/WC). 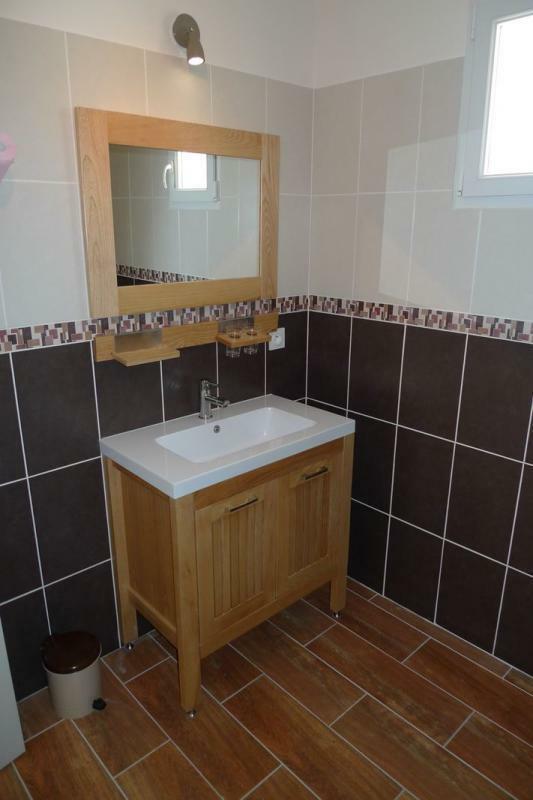 A l'étage, salle d'eau/WC, salle de bains/WC et douche. 4 ch. (1 lit 180 : 2 x 90), (1 lit 180 : 2 x 90), (2 lits 1 pers), (2 lits 1 pers). 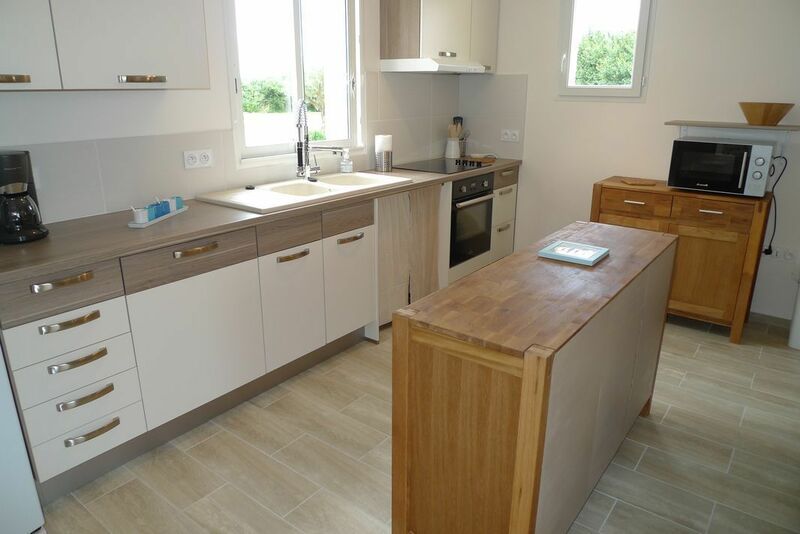 Jardin clos privatif de 2500 m2 avec terrasse couverte. 4 transats. Abri vélos. Trampoline. Terrain de boules. Linge de table fourni. Equipement bébé complet + parc/poussette. Chien d'assistance pour handicapé uniquement (caution 100 €). 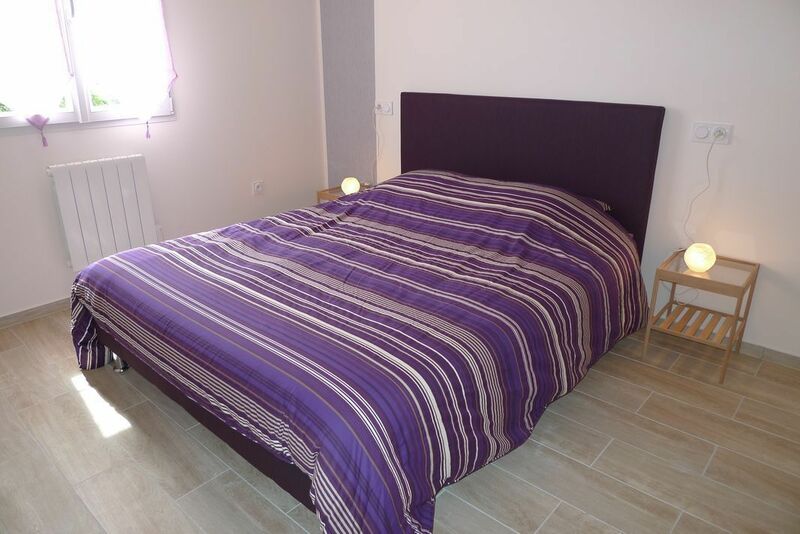 Chauffage payant 80 €/sem et 20 à 30 € de 2 à 5 nuits. 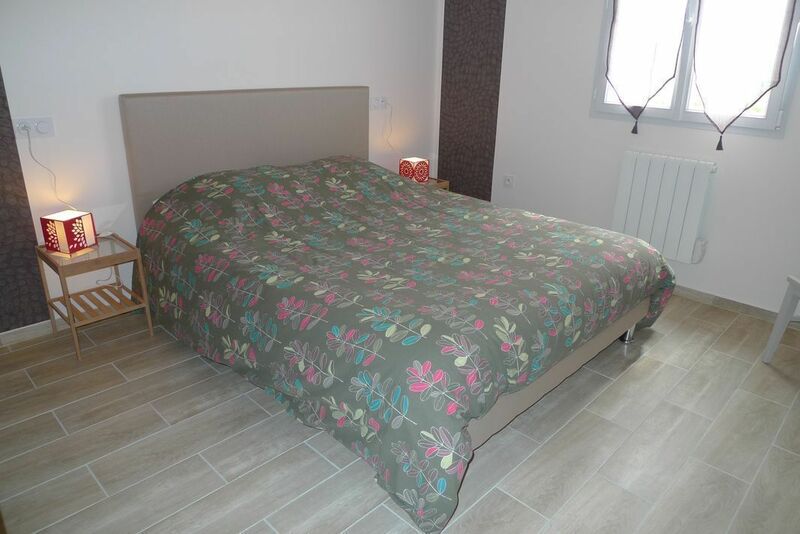 Tarif court-séjour 4 nuits: 855€. La Rochelle is a beautiful, big-hearted town, a thousand years old but with its sights set firmly on the future. Free, independent, thriving, La Rochelle was always different to other French towns and has had an eventful history. The "Rondes de nuit", organised by the local Tourist Information Office at nightfall, are an unusual way to find out about La Rochelle's history and to see inside buildings not normally open to the public! Very close to the Marais Poitevin and not far from La Rochelle, Surgères boasts a truly outstanding historical and architectural heritage and enjoys a solid reputation in the dairy industry. The Romanesque church of Notre Dame de Surgères, with its unusual octagonal bell-tower, stands within the medieval walls of the town centre. This religious building is one of the loveliest in Aunis and Saintonge, with its richly carved façade and mysterious crypt with frescoes. A short distance away, along the old wall, can be seen the remains of the towers and gates of the old prisons. This architectural ensemble is surrounded by a lovely park - perfect for a gentle stroll and an excellent spot for that family picnic. 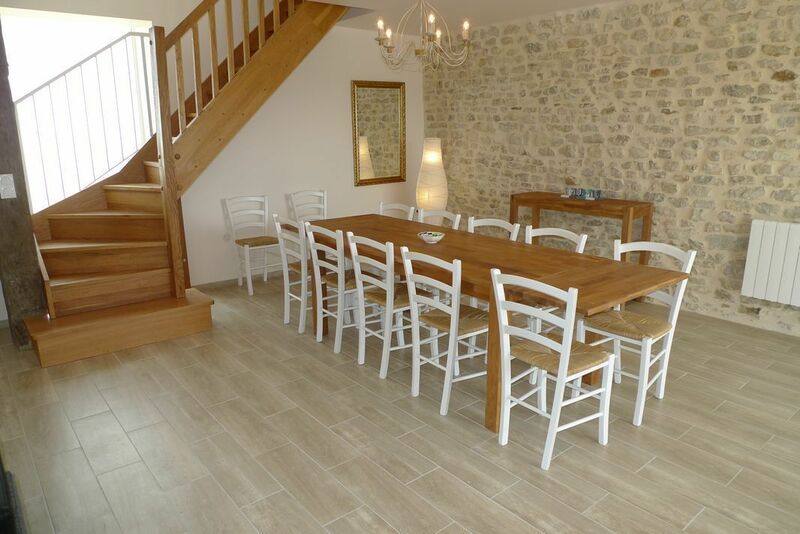 At the heart of the Saintonge Valleys stands the charming historic town of Saint Jean d'Angély. An important place of worship in its own right, Saint-Jean-d'Angély was also a major stopping place on the Santiago de Compostella pilgrim way. The town became prosperous in the 18th and 19th centuries thanks to its river traffic and brandy trade. The medieval half-timbered houses and many townhouses in the narrow, winding streets of the old town bear witness to its illustrious past. Much favoured by fishermen, the sparkling river Boutonne winds through the Saintonge Valleys. 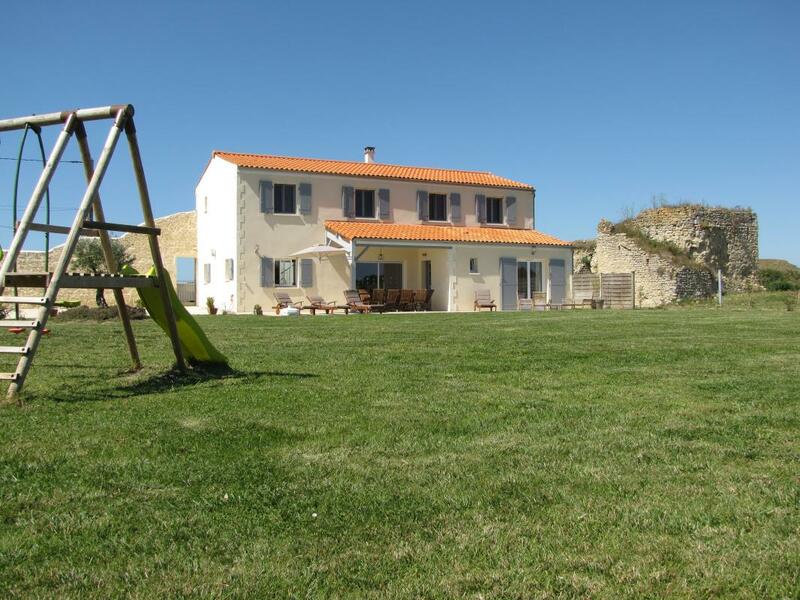 The green and gently rolling countryside around Saint-Jean-d'Angély is very pleasant, with over 40 walking/hiking trails and 3 mountain bike tracks. Set between the land and the sea, Rochefort-Océan has no ocean views but it does have a port and was a great naval shipyard. Located at the mouth of the river Charente, which can be crossed via the transporter bridge, the port has linked the town, for over 300 years, to the Atlantic some 20 km away. Halfway between Rochefort and La Rochelle stands Fouras, an important centre for oyster- and mussel-farming. The warm sea currents which wash against its headland help foster the growth of oysters and mussels - top quality produce that is best sampled on the spot, facing the sea. 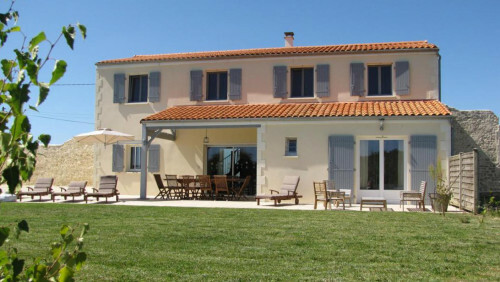 Take a day trip to the Ile d'Aix. The ferry leaves from the Port de la Fumée in Fouras and the 20 minute crossing will bring you to this haven of peace and quiet. The Ile d'Aix is like a large garden with lots of hollyhocks. On this miniature island nature rules. There are no traffic noises as visitors may only walk, cycle or ride in a horse-drawn carriage! Nature may be all around but so is history. With its fortified village and forts, Fort de la Rade and Fort Liédot, the Ile d'Aix is a veritable fortress. In the past it protected the naval shipyards of Rochefort. Napoleon spent his last hours of freedom here before being exiled to St Helena. The glittering isle of Oléron … lovely, unspoilt natural settings, superb beaches, wonderful heritage - the second largest island in France, is great for sports and for wildlife. On the west side, facing the Atlantic, the island boasts a unique series of long sandy beaches stretching from Saint-Trojan to Chassiron. Winds and tide can make the sea a safe playground for children or an altogether more challenging place for adults. The waves provide enjoyment for beginners and the more experienced. Windsurfing, surfing, sand yachting … you're in for a fun-filled holiday! Romanesque art, most prominent in religious architecture, began in the kingdom of France around the year 1000, at the end of the Carolingian era. Omni-present in the Charente Maritime, it then spread throughout Europe, picking up oriental and barbarian features on the way. Here are some of the gems of Romanesque art which everyone should try to see: church of Saint-Pierre-de-la-Tour (11th century), at Aulnay-de-Saintonge, UNESCO World Heritage site, as part of the Santiago de Compostella pilgrim way; the Royal Abbey of Saint-Jean-d'Angély and the Abbaye aux Dames in Saintes, also built in the 11th century; the Saint-Eutrope basilica, also in Saintes, and the Pilgrim Hospital in Pons, built in the 12th century.